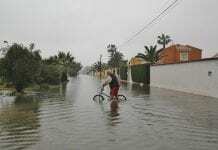 Without warning the residents of the historic town Ronda were hit with a massive 50 litres of rain in less than an hour yesterday afternoon (Thursday). 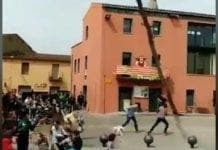 Videos were captured of cars trying to drive through metre deep water while tables and chairs from local bars and restaurants floated down the streets. The yearly average rainfall of the area is around 700mm so it came as a massive shock to local residents.